Corona del Mar’s SideDoor is the perfect neighborhood corner pub. The atmosphere is relaxed, and you can always expect a great menu, cheese and charcuterie, plus a choice slate of wine, beer, and cocktails. A few of my favorites wines appear on the thoughtful wine list, including Ballard Canyon’s La Cuadrilla red blend, created by the Stolpman Vineyards team. I’d be a happy girl watching NFL playoffs with a SideDoor prime rib sandwich in one hand, a glass of Canvasback Cabernet Sauvignon from Washington State in the other. With the amazing wine preservation systems like the Coravin, SideDoor even offers guests treasured pours from Screaming Eagle and Verite. 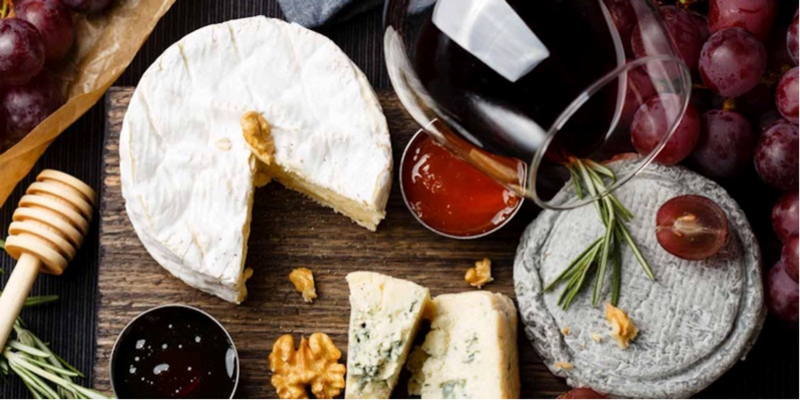 The cheese and charcuterie rotate seasonally, curated by expert cheese monger, Tracy Nelsen, and you can choose from a chef’s plate of three choices or a SideDoor sampler of five. This and a bottle of Gunderloch Riesling is pure heaven to me. Last year, the restaurant began a monthly cheese event featuring a select creamery. This popular series culminates in SideDoor’s bi-annual Cheese & Charcuterie Backyard Party showcasing the past months’ creameries. Attend the next one—from 5 to 9 p.m. Jan. 17— for a tasting from Jasper Hill, Rogue, and Andante, plus a series of French cheeses and offerings from the Wagner Family of Wine. Snag your reservations early for this memorable night on the SideDoor patio. You can purchase tickets online for $45, which includes tax and gratuity.